11:00pm–#Fairfield CT–#cttraffic–Reported car fire on the Merritt Parkway northbound between exits 44 and 46. A second caller says it is closer to Burr Street. 10:27pm–Bridgeport CT–A resident has called the fire department that someone set their car of fire in Whitney Avenue. Police on scene confirming the car is full engulfed in flames. 7:02pm–#Stratford CT–Firefighters on the scene at 181 East Avenue for smoke inside a home. They are investigating. 1:12pm–#Derby CT–Today’s car fire is in Derby in front of the Dollar Tree Shop on New Haven Avenue. Firefighters reporting a minor car fire in a Ford Taurus. 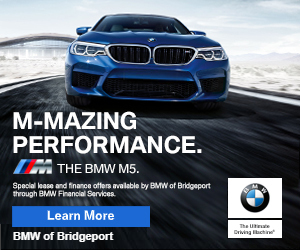 12:19pm–#Bridgeport CT–#cttraffic–Report of two cars on their roof I-95 southbound near exit 27 but cameras show a slowdown near exit 28. 9:39pm–#Bridgeport CT–Firefighters at 119 Lorraine Street for a kitchen fire, they just arrived and report nothing showing from the street. Police requested to ticket the car blocking the hydrant. 6:16pm–#Bridgeport CT–An eleven year old boy has been hit by a car on Wayne Street. He is on his way to the hospital, the extent of his injuries are unknown. Prayers for him please. 5:08pm–#Easton CT–Despite all this rain firefighters are report two large brush fires in front of 1149 Sport Hill Road and requesting additional fire apparatus to the scene.